BISHKEK -- As Kyrgyzstan's October 15 presidential election nears, the country is preparing to conduct them safely and fairly, with no room for terrorism. Almazbek Atambayev, the incumbent, is barred by law from running again. Bodies like the Organisation for Security and Co-operation in Europe credit Kyrgyzstan with having the freest elections in Central Asia, and the country intends to protect that hard-won reputation. A threat does exist of terrorists trying to strike during the election, warned Igor Shestakov, co-chairman of the Pikir Regional Experts Club in Bishkek. As a result, the State National Security Committee (GKNB) has been more active than usual in recent months. A presidential election provides terrorists a chance to reap free publicity and to frighten society, said Shestakov. 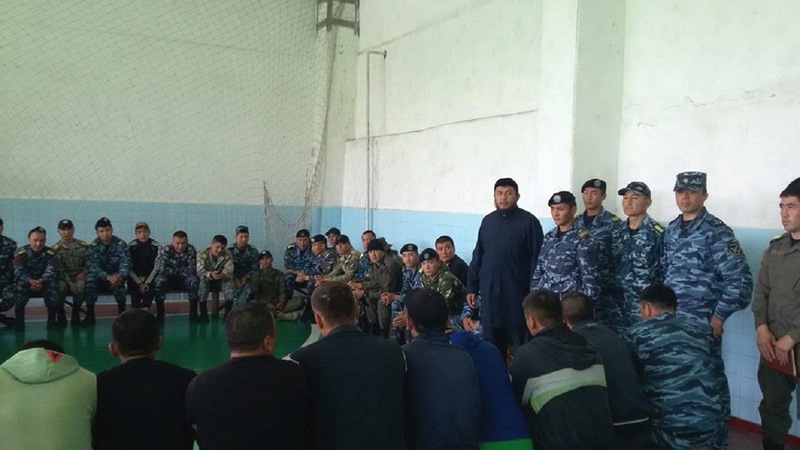 "Moreover, Kyrgyz extremists are trying to raise more money for their activities," he told Caravanserai. "Their motivations aren't just ideological but also financial." Some Kyrgyz militants are fighting in Syria for the payday rather than for ideas, he pointed out. A plot that authorities broke up in August indicated Kyrgyz extremists' eagerness to target high-profile events. On August 29, State National Security Committee (GKNB) personnel in Jayyl District, Chui Province, killed two terrorists. The GKNB arrested a third, wounded suspect who faces questioning when he recovers. The three men were plotting terrorist attacks in Bishkek and the rest of Chui Province for Independence Day (August 31), said authorities. Such "ambition" among terrorists is causing authorities to keep a close eye as election day -- another red-letter occasion for Kyrgyzstan -- approaches. Informed observers have different opinions on the threat that Kyrgyzstan faces. Kyrgyzstan has, among Central Asian countries, the highest proportion of citizens fighting in Syria, warned Kadyr Malikov, director of the Bishkek-based think tank Religion, Law and Politics, though he gave no numbers. On the other hand, Dmitrii Orlov, director of another Bishkek-based think tank, East-West Strategy, takes a more optimistic view. The GKNB's ability to break up the Independence Day plot "speaks to the effectiveness of Kyrgyz security agencies", he told Caravanserai. Compared to the late 1990s and early 2000s, when Kyrgyz regular troops had to fight an insurgent infiltration in Batken Province, clearly "Kyrgyz security agencies have learned how to conduct pre-emptive measures", he said. Kyrgyz security agencies deserve credit for what they have accomplished against extremists "even though their funding and level of technical equipment leave something to be desired", he said. Another factor in Kyrgyzstan's favor is close co-operation with the security agencies of its neighbours, said Shestakov of the Pikir experts' club. The Central Asian states all consider the "Islamic State" (IS) a common enemy, he said. That said, Kyrgyzstan should not rest on its laurels in thwarting extremists and needs to stay on guard, said Shestakov. 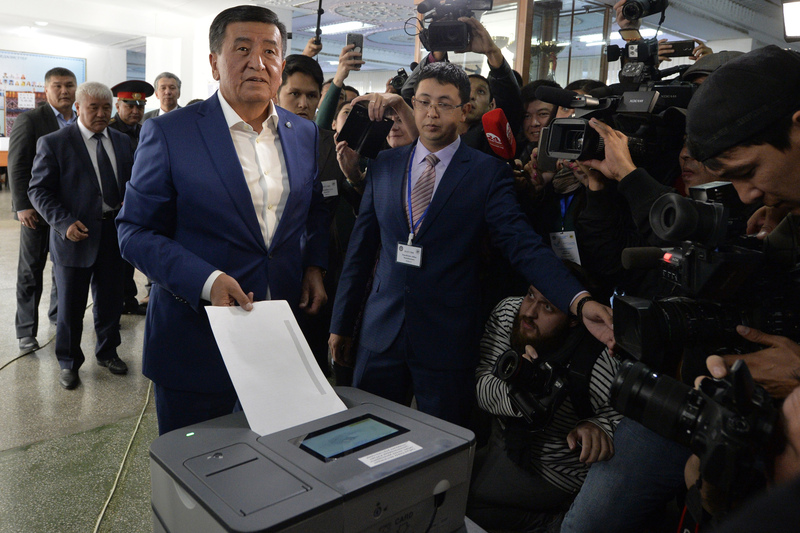 Former PM Sooronbai Jeenbekov won a clear majority of the votes, promising to speed up reforms. The moves come in reaction to the June 5 terrorist attack in Aktobe, Kazakhstan.